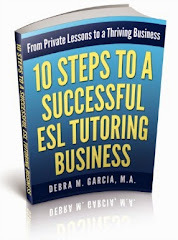 During my private tutoring ESL tutoring lessons, I can usually tell if my student isn’t able to understand me. I think that listening skills are probably the most difficult for ESL speakers. It seems to speakers of other languages that native-English speakers speak so quickly. I don’t know if we generally speak more quickly than speakers of other languages speak in their native tongues. However, one of the things we do a lot is use reductions (e.g., "I’m going to go to the store" becomes "I’m-gonna-go-ta-tha-store"). One method I use to help beginning speakers with listening skills is dictation. 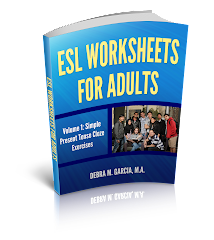 Recently, I was working with a beginning ESL student on the Past Tense. We meet three times a week. After one weekend, (always a good opportunity to practice the Past Tense with “What did you do this weekend? ), my student told me about her husband’s father’s birthday. I was able to elicit a fairly decent description of the story. “Last Sunday was my husband’s father’s birthday. I wanted to cook something special for him. On Saturday, I went to the store to buy groceries to make Bulgogi. I also bought a cake for his birthday. I was very nervous about cooking for my parents-in-law. I started cooking at nine in the morning. I didn’t finish until five o’clock. I read each paragraph to her a couple of times and let her write as much of it as she could understand. This allowed her to practice her listening and writing skills, and it helped to reinforce the fact that she had effectively communicated her story to me.